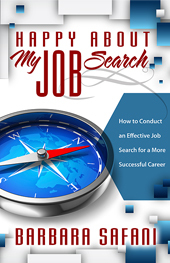 Happy About My Job Search - a compelling new companion for your job search! A job search is never easy and a struggling economy only makes it harder. How do you make your job search smarter, faster and better? In Happy About My Job Search, Barbara Safani offers a candid perspective of what a job search is, and isn’t. She offers plenty of practical hints for building better resumes and writing compelling cover letters. She freely shares her expert understanding of how to network during a job search, prepare strategies for interviews and negotiate a competitive compensation package. Barbara reveals the way to be well informed and better prepared for the journey ahead. Read her compelling new book to learn how to find success even in this most trying situation. A job search is never easy and a struggling economy only makes it harder. Everybody knows she or he needs to be smarter, faster and better in finding a job, but how? After all, a job search is synonymous with plenty of hard work and also plenty of rejection. Now, career transition expert Barbara Safani comes to every job seeker’s rescue by addressing this pressing issue in a way that makes complete sense in today’s economy. In Happy About My Job Search, Barbara offers a candid perspective of what a job search is, and isn’t. She offers plenty of practical hints for building better resumes and writing compelling cover letters. From her own experience, she freely shares an understanding of how to network during a job search, prepare strategies for interviews and negotiate a competitive compensation package. As Barbara has noticed repeatedly, most of what occupies people in their job searches is really no more than busy work or wheel spinning. Job seekers often post endlessly on dead-end or random job boards, attend local career fairs whether or not they are useful, or simply hand out resumes to someone who promises to ‘see what they can do’--but these search methods rarely yield fruitful outcomes. With expert insight and perspective, Barbara reveals the way to be well informed and better prepared for the journey ahead. And surprisingly, she shows that it’s possible to even find some fun, joy, and happiness during your job search. With articulate grace, Barbara shows you how to enjoy and see success even in the most trying job search situation. 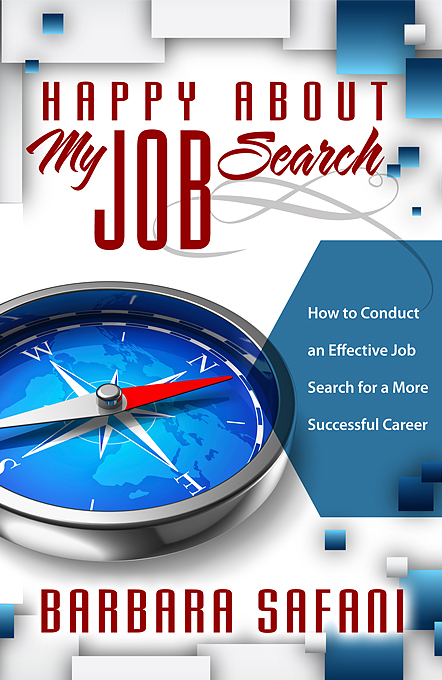 Want a branded edition of Happy About My Job Search?